Genzler is proud to announce this update to the original BA12-3 design — the BA12-3 STR (straight version). Identical to the original straight cabinet design, this model now features a top-mounted recessed bar handle. The Bass Array concept is a unique approach to bass instrument loudspeaker design. Although the same size as many premium 12” and tweeter cabinets, this speaker system is so much more complex and rewarding to the performer. This design provides a more open, smoother midrange and high frequency response because of the ideal natural characteristics of the mid-high frequency array when compared to a conventional tweeter, which cannot reproduce the crucial midrange frequencies without pattern control or un-natural distortion. What this means in the context of performance is the most focused, defined, musical, smooth and seamless response possible throughout the BA12-3’s entire full-range bandwidth. 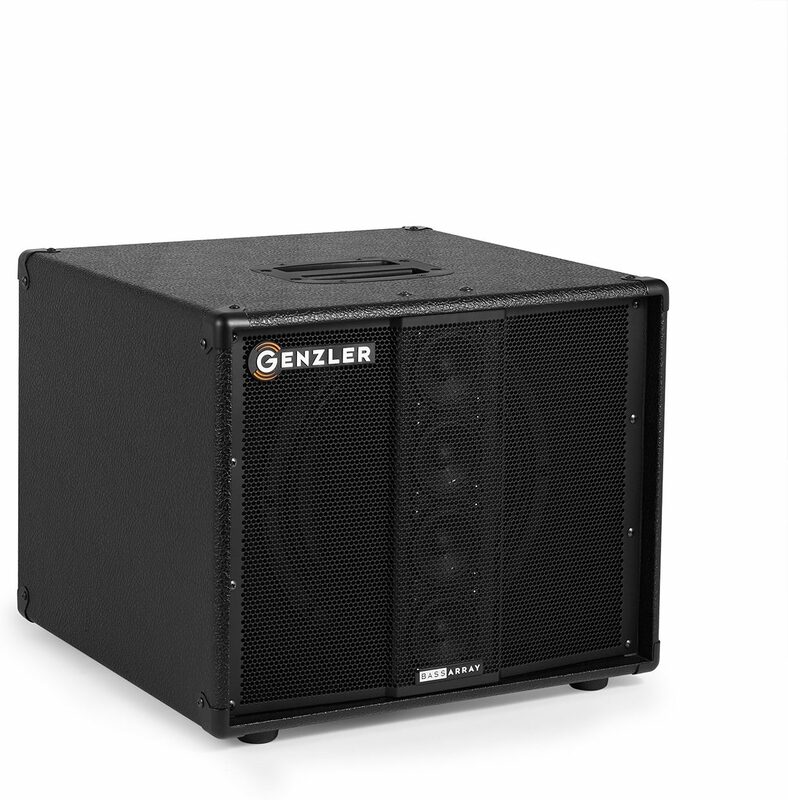 Additionally, the placement of the Line Array in front of the 12” woofer further provides a type of “single point source” projection—think of it as concentric speakers, one inside of the other, in the same linear plane. Also due to line array principals the all-important mid and high frequencies have a much wider horizontal dispersion with a more controlled vertical pattern. This offers the most even projection possible around the perimeter of the stage and audience. And now with the addition of the BA12-3 SLT slant version, the options for stacking both the straight and slant cabinets offer a variety of configurations which can enhance tonal details, projection and dispersion depending upon the venue or stage requirements.